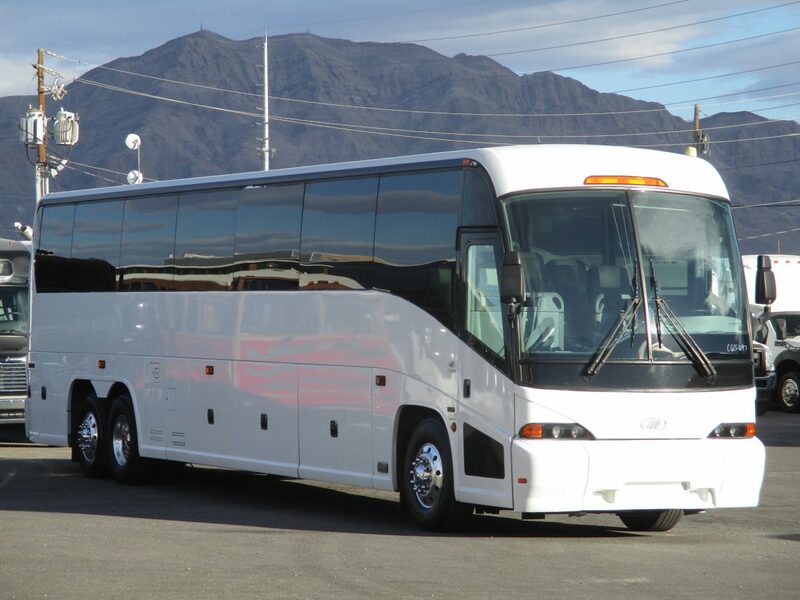 We have all makes of used buses for sale including: Used MCI Coaches, Prevost, Vanhool, Setra, Neoplan, Bluebird, Thomas, Starcraft, Ameritrans, Krystal, Startrans, Supreme, Eldorado, Glaval, Champion, Metrotrans, Diamond, Turtle Top, Terra Transit, Goshen, Elkhart Coach and Federal to name a few. We also invite you to let us know if you have buses for sale, we buy used buses outright. As always, let us know you’re coming in to see our buses and during business hours we can provide transportation from the airport or hotel to make your search for the right bus easier! 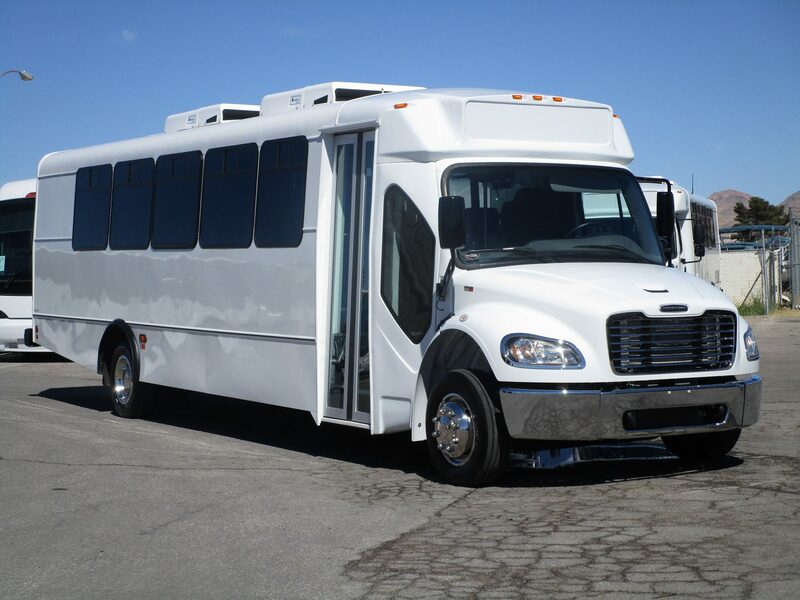 Our large facility allows us to serve you with a huge inventory of buses for sale and easy access for the customers who visit us. As always, let us know you’re coming in to see our buses and we can provide transportation from the airport or hotel to make your search for the right bus easier! 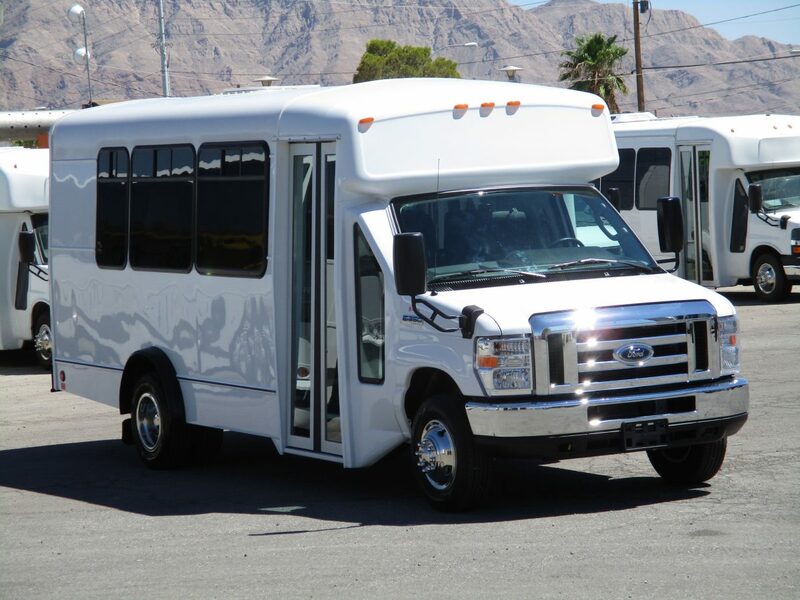 Las Vegas Bus Sales is committed to being the largest provider of, and your best option for purchasing, new and used buses. 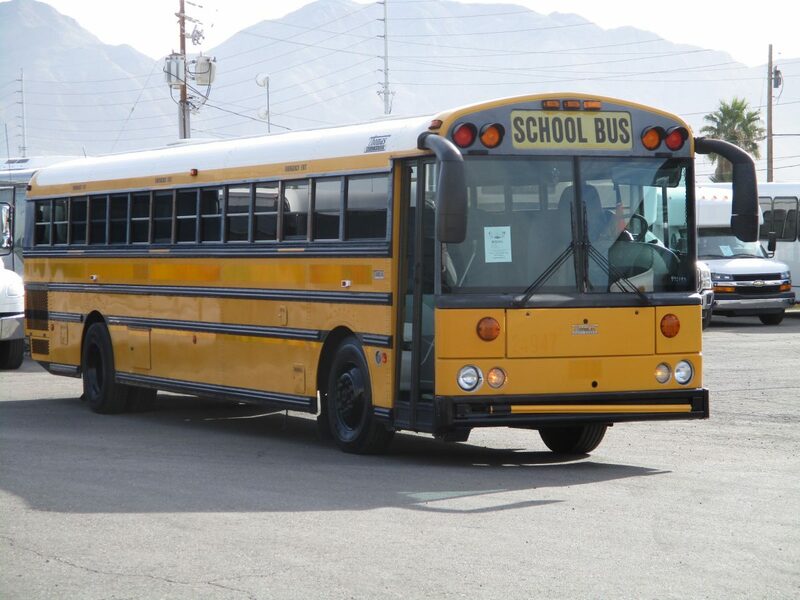 Along with our sister company, Northwest Bus Sales located just outside Seattle, Washington, we offer numerous brands, makes and models of new buses in addition to the largest selection of pre-owned and rust free used buses for sale on the web. Our facility is conveniently located on the north end of Las Vegas, Nevada just minutes from McCarren International Airport (LAS). Our intent is to delight you as a customer by working hard to understand both your wants and needs. We aim to provide you a purchasing experience filled with value while building a long term relationship. Our experts have extensive knowledge about all the buses for sale at our dealership. Please contact us if you have any questions.